Every now and then you hear about new restaurants/bars opening up in Delhi NCR. But are all those nightlife restaurants cut the chase of being the ‘awesome’ bars or lounges where one can host kickass parties? Well, we are not saying all newly opened nightlife restaurants & bars in Delhi NCR is killer and has this charismatic vibe or something (well, that’s practically not possible, right?). But when we dug up the internet, we came across some uber cool nightlife restaurants which have recently opened up or are lined up to open soon in Delhi NCR. If you are tired of partying at ‘well established’ bars, clubs, and lounges then, you can definitely check these new restaurants in Delhi NCR out. They are awesome!! It’s always good to try out new restaurants, and who knows you might end up finding your new favourite restaurant. And it’s perfectly all right to anticipate the opening of new restaurants as well. Who wouldn’t want to grab the ‘first-day deals’ of newly launched restaurants? Hence, we prepared a list of opening soon restaurants in Delhi NCR. Let’s start with newly opened bars, clubs, lounges, microbreweries etc. and see what’s new in Gurgaon to explore on your coming weekend. Now comes one of the most anticipated nightlife restaurants that’ll be opening soon in Gurgaon. Honestly, there are quite a lot upcoming restaurants in Gurgaon but, these two were totally worth mentioning here. Let’s talk about newly opened restaurants in Delhi pretty please? So yeah, we were saying that while searching we came across these super amazing uber-cool bars and lounges that have recently opened their doors for party-hungry people in Delhi. Have you ever waited for a restaurant’s official launch? We were quite hyped about the Dunkin Donut’s store opening up nearby our office (Ok we understand that this information was unnecessary). So moving ahead, what we really want to say is that there is news of some epic restaurants coming up in Delhi. And if we go by our intensive search results some amazing bars, lounges, bistros etc., are lined up to open soon in Delhi are going to be really awesome. Check a few of them here. So that was all for today folks! 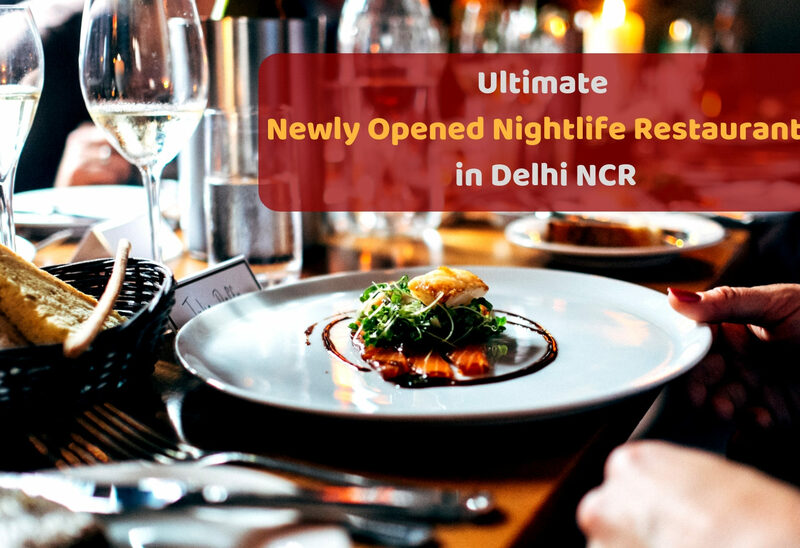 Party hard at newly opened nightlife restaurants in Delhi NCR and grab the best deals when the new one opens up. When it comes to food and parties for Delhiites, there is always a scope for new party places in Delhi NCR. This entry was posted in Restaurants and tagged newly opened restaurants in delhi, newly opened restaurants in gurgaon, nightlife restaurants in delhi ncr. Bookmark the permalink.